THE BOOM YEARS: September 1945 thru March 1947. Unfortunately, all of the civil aircraft manufacturers grossly misread the targeted audience for these airplanes. Rather than coming home from the war and buying aircraft, veterans preferred to settle down, marry, start a family, get an education and begin a working career. Things that all had given a great deal of thought to while serving in the military thousands of miles from home. Gone was the vision of all veterans wanting an airplane. Thousands of these airplanes, almost without value, were destroyed as the cotton fabric covering rotted or they were left to the elements to rust away. Thankfully, there were still a number of aviation enthusiasts, who at that time, began collecting the now derelict airplanes and storing them away in barns, granaries, garages and almost any place where a fuselage and removed wings could be stored. As time moved onward, a renewed interest in these airplanes slowly evolved. Veterans who had an interest in aviation were now in a position to renew that interest. Organizations such as EAA had become well established helping pique aviation interest. Sons and daughters of the vets were also being introduced to the pleasures of aviation. Projects, as they became known, came out of storage and were restored to flying status for the pleasure of inexpensive flight. 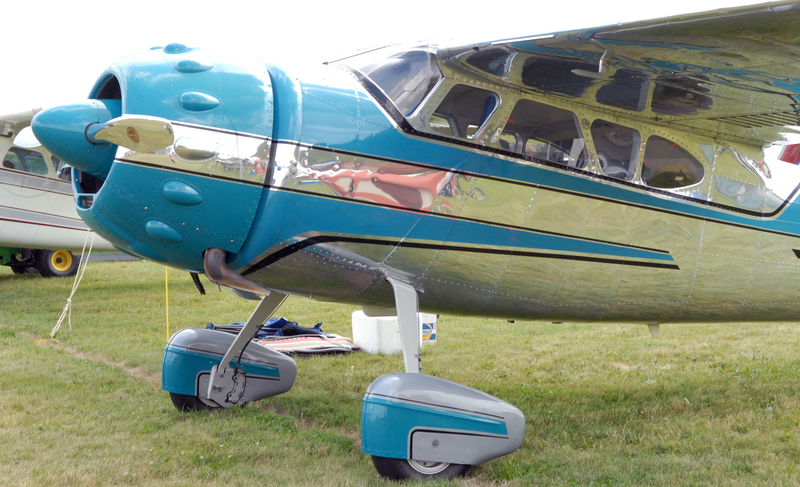 None were truly restored to the levels we see today at the EAA Fly-In but rather were rebuilt for utilitarian purposes, practicality over beauty. It wasn’t really until the late 1970’s or early 1980’s where these great old classics really caught on and their resurgence began. 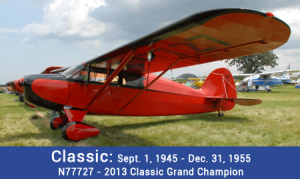 Today we see Cubs, Champs, Porterfields, Luscombes, Taylorcraft and numerous other makes and models restored, shown and flown; numerous could easily compete for Grand Champion status in addition to many of these airplanes restored well above average for pleasure and fun. And all are invited to Oshkosh! In addition to airshow center parking (remember Cubs 2 OSH), we’re working on a host of other things to help entice attendees. As these things are finalized, watch for announcements here on the website, in Vintage Airplane and the Viintage AirMail. Cubs 2 OSH broke a record for the number of participating aircraft with over 181 Cubs parked in one area. There is no reason that this number couldn’t be doubled or more with the addition of the many other makes and models produced during the “Boom” years! Join your pilot friends and plan to fly to this historic event. Spend a few days, or more, talking airplanes with fellow owners. It will be a memorable experience. 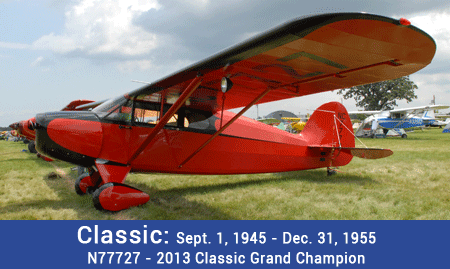 EAA AirVenture 2014 is stacking up to another premier international fly-in. Join us and help make it the best show ever!